EasleyLifePhotography | How to best store and enjoy your pictures? I have what they call a “Photographic memory”, which by MY definition means if I don’t have a photograph of it I probably wont remember it! As sad as that is, it’s been a good thing for me. I have TONS of pictures. Every day I get a reminder of this from my iPhone saying “your phone has not been backed up in 1 Billion days, you need to buy more memory.” Thanks, but no thanks. On a slow day or when I am feeling nostalgic, I will go back through my phone and remember those moments and perhaps delete a couple failed ‘us’ies (my husband’s recreation for selfies but for us). But how much are these moments worth to me? Would I cry if my phone died and all of the memories were stuck inside? All of the sudden those pictures may become priceless to me. Isn’t that funny? Taken for granted in one second, but priceless the next. So how can you prevent this from happening? What is the best way to store and enjoy your life which is essentially, not to be dramatic, your legacy. Two words for you. GOOGLE PHOTO! Seriously! If you don’t have it, download it right now! Anytime you are connected to wifi, Google backs up any photos you have taken to the cloud. You can delete them off your phone, but still access them through the Google photos app on your phone or computer. It’s AMAZING! So that covers the storage aspect, but what about enjoying your life? Let me take you back a few years when film was a thing and we were forced to get the pictures developed and printed. The albums my parents put together of my childhood is priceless, which is why I may have stolen a couple that I noticed my mom was keeping in the garage (sorry Mom but they are safe and sound in my hall closet). I love seeing pictures of me and my brother as littles and the excitement on his face holding me followed by the shock as Leslie came one day less than a year after me. You could only imagine what was going on in his three year old head…”Is this going to keep happening every year?” I am so thankful that my parents put this album together for us. Then there are the preteen and teenage years. I have so many shoe boxes full of pictures I love to look through on the days I should be cleaning my closet. Oh those awkward years all safe and sound in a shoebox high in the closet. But this is where the picture gap starts because Facebook became a big thing and once I shared them with my friends, printing wasn’t necessary. Now my “photographic memory” becomes an “Instagramic memory”, if I didn’t post it there it didn’t happen. 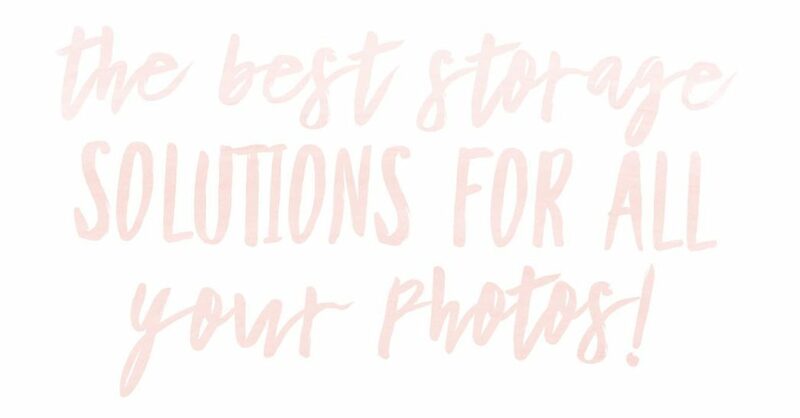 There are 3 categories most pictures fall into and here are my recommendations for each! These are those no make up days such as: the choir concert your little brother was in, someone’s wedding you went to and felt the need to photograph the ENTIRE ceremony, numerous photos of your dogs, and of course every adorable facial expression your baby ever made. That awesome vacation, the picture perfect date, the most adorable picture of your fur baby after a grooming appointment, and a messy grin on your babies face after destroying a bowl of spaghetti. You can fill in the blank here! What do you deem worthy enough to go on your wall? What would you love to pass on to your children from their childhood? If you need help, think about how you want to feel when you glance over at the wall collage in your living room or when you open that book on the coffee table? Do you want to laugh? Do you want to remember how it felt holding your baby for the first time? Or do you picture a piece of art you selected from Hobby Lobby because it was on sale? 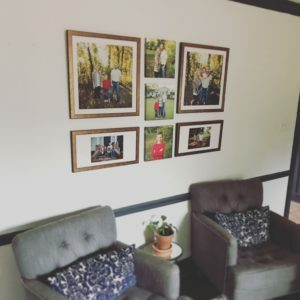 No judgements – I love Hobby Lobby and currently have several items hanging in my home. My recommendation, put the cute little knick-knack down and save up for a beautiful family session. number 3 have to be PERFECT! If I am going to have a canvas made or create a wall gallery I want the images to fit the overall design of my room. This is where hiring a professional comes in! When I work with clients on creating wall art, the first thing I ask is what are the colors in your space? Lets create memories that will beautifully accent your living space, entry way or bedroom. Please remove the temptation to think Olan Mills super posed 80-90s style pictures! Instead, picture a combination of candid and posed family pictures that truly capture your family bond and personalities. When you invest in your family and proudly display these beautiful images on your walls, you are passing on family values of togetherness and love to your children. This website is listed in the Arkansas Photographer Directory.